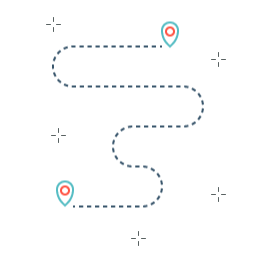 This Roadmap communicates Synergex’s current plans for the Synergy/DE product suite. Synergex is committed to advancing Synergy/DE to enable long-term growth and success for developers creating and extending Synergy-based solutions. New Synergy/DE runtime revisions with new features are typically released every 12 to 18 months, and patches with fixes every 3 to 6 months. New SDI developer builds (Synergy DBL Integration with Visual Studio) are released when new features are available and to support Microsoft Visual Studio releases. 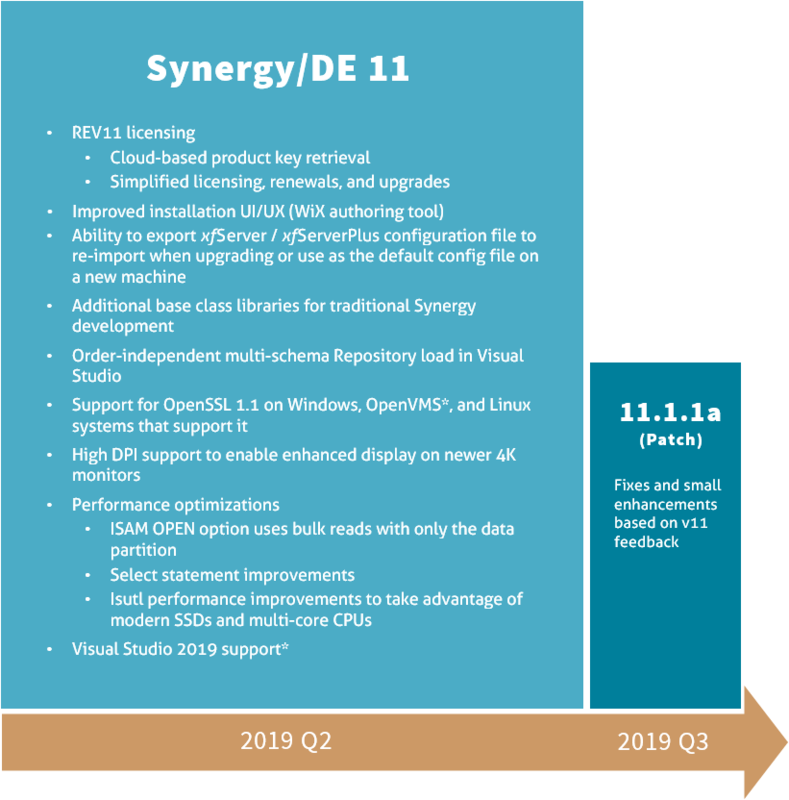 SDI releases support a maximum of three concurrent Visual Studio versions (the latest release of each version), as well as any Synergy runtime version back to 10.1.1d for Synergy .NET and 9.5.3 for traditional Synergy. Windows C runtime upgrade and .NET Framework 7.2 required, Synergy clients will likely need upgrades. The following features are under consideration for research and development. We are also reviewing other features that have been submitted to the Ideas forum in Synergex’s Resource Center Community. If you have ideas for improving or extending Synergy/DE, we encourage you to post them on the Ideas site for consideration. Also, if you are interested in any of the ideas that are already posted, we encourage you to add your input and votes for those features in the forum. Support for .NET Core on Linux and the .NET API.